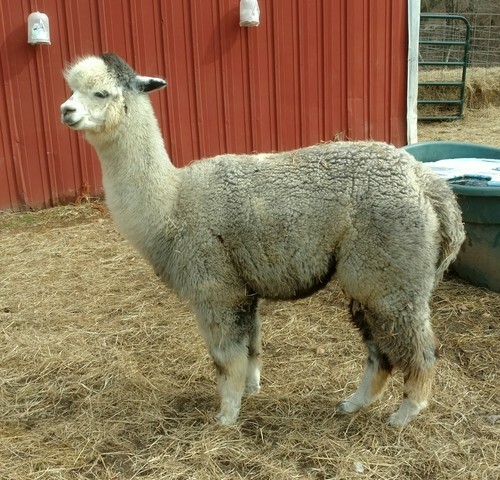 Oreo has developed into a fine young herdsire with a soft handled fiber that at two years was still under 20 microns, amazing for a gray! His conformation is ideal and he has a topknot that is just right. If you are looking for fineness in gray then put Oreo to work for you! 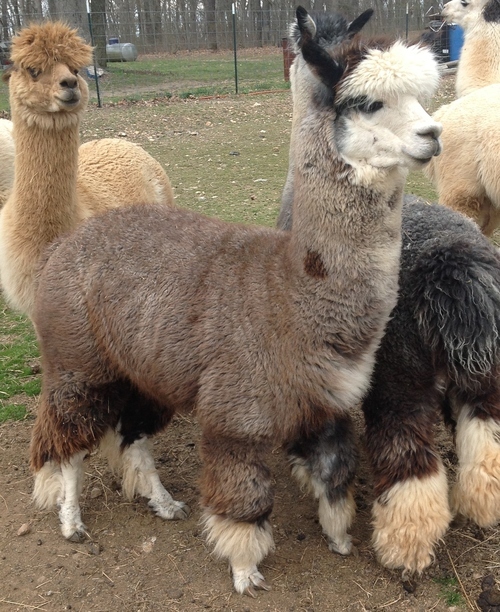 His crias exhibit the same amazing traits of fineness and density that Oreo carries so proudly. Purchase this young outstanding male and build your herd around his great rose grey genetics! Nick began his breeding career in 2009, and the results have been outstanding. Between his nice bone structure and density, great conformation and unbelievably soft award-winning fleece (2008-AFD 15.7) (2009-AFD 15.8), Nick is throwing mostly grey, with a few true black offspring. 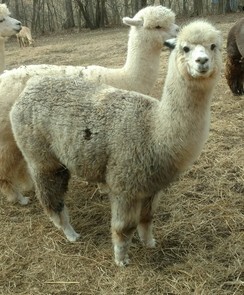 His cria have his nice bone structure and conformation, along with his super soft and fine fleece. 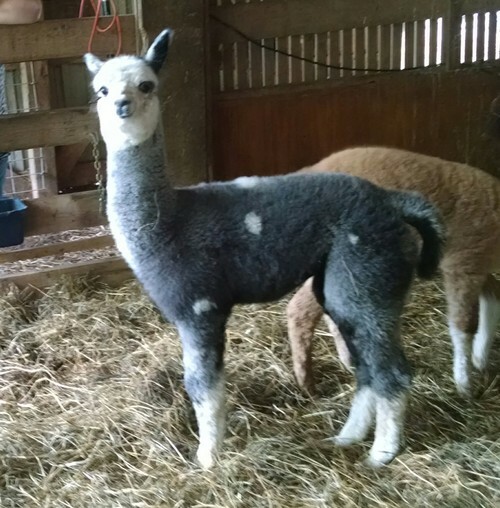 Sweet Painted Lady is a sweet young female born on our farm to a Silver Grey dam with incredible staple and fineness, and a handsome Rose Grey Full Peruvian Sire. Popcorn fleece, with a blanket that's 90% consistent dark silver grey and black. With her bloodlines and background, and an AFD of 17.8 microns, Painted Lady should make an exceptional producer of rose grey crias! Bred to our multi color champion Moose Creek's Buffalo Nickel for a Spring 2019 cria. Zero Percent Financing for up to One Year on purchases totaling at least $1,000 with a 20% Down Payment.